Euro Home Improvement, Inc. professional home remodeling services includes everything from quality drywall installation and repairs, to custom texture and paint finishes, to quality flooring options, and custom cabinets. Please see our list of services below. 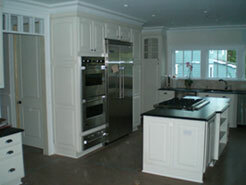 Our kitchen renovations can include custom kitchen designs with distinctive kitchen islands. Our work effort is based on very thorough and meticulous standards. Euro Home Improvement, Inc’s trusted and talented team members have a proven record of quality workmanship and excellent customer service when it comes to all aspects of kitchen remodeling, including Cabinetry, Flooring, Painting, and more. 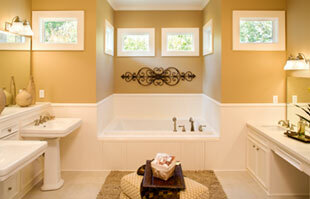 Quality workmanship shines thru on our bathroom remodeling. 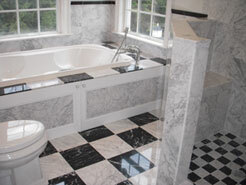 We can install new materials and work with your existing tile or sinks. 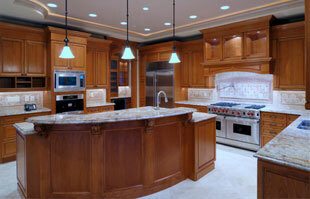 We only use experienced plumbers and electricians to build the comfort and elegance you desire. Our fully trained and experienced handymen can keep you home in complete working condition. Ask us about our handyman services for house or room painting, or for smaller jobs such as quick fixes. 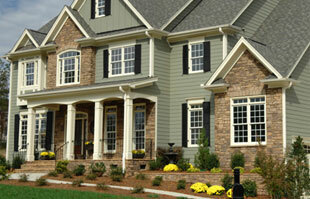 Our main goal at Euro Home Improvement Inc. is to keep our customers’ project on budget, on time, and on target. We have been helping families turn the home dreams into realities for many years and we strongly believe in building and nourishing relationships with all of our clients, treating them and your home with the utmost of care and respect. We always make the effort to understand your lifestyle and make suggestions that fit your personality as well as budgets. We offer free home remodeling estimate, and 100% satisfaction guaranteed on all workmanship, along with the manufacturer’s warranty on all building materials. Our tagline says it all: Quality Is Our # 1 Priority!